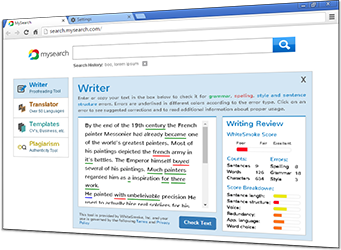 The Creative Writing Profile for WhiteSmoke Writer extends the core program with creative and artistic text enrichment, and an enhanced dictionary including relevant terms. WhiteSmoke Writer for Creative Writing is the perfect choice for all creative writing, and is used by novelists, poets, screen writers, students, and more. 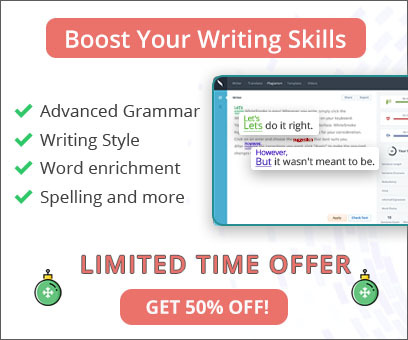 Combine these core WhiteSmoke Writer features with specific vocabulary and text enhancements for creative writing, and you have the best creative writing software solution for novels, essays, screenplays, poems, and more.